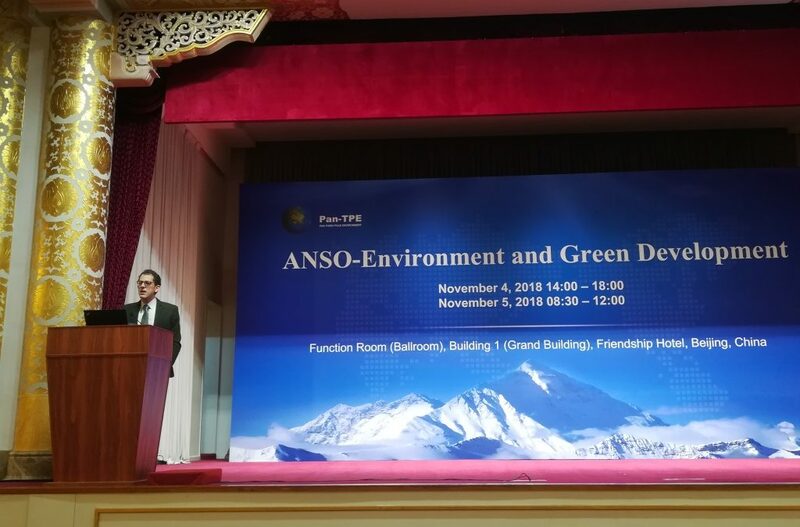 GDI researcher Seth Schindler recently presented at The First General Assembly of the Alliance of Scientific Organizations (ANSO) in the Belt and Road Region, in Beijing, China. Created by the Chinese Academy of Sciences, ANSO brings together researchers, policy makers and practitioners to identify how the Belt and Road initiative can best promote sustainable regional development. Seth focused on the International Development Finance Corporation (IDFC), which was recently created by the U.S. Government and provided with $60 billion for overseas infrastructure projects. He argued that infrastructure-led development is increasingly a field of competition among global superpowers, but in its current form the IDFC will be unable to compete with the Belt and Road Initiative. “This conference brought together representatives of national science organizations from countries included in the Belt and Road Initiative. Most of the non-Chinese participants were from Southeast, Central, South and East Asia. Only a small number of European and North American delegates were in attendance, so it really represented the changing geography of globalization. Thinking about studying for a master’s?